While those big leaves might be intimidating, Swiss chard is actually fairly easy to prepare. The following recipe has a limited number of ingredients, and is a breeze to prepare, especially during Thanksgiving crunch time. 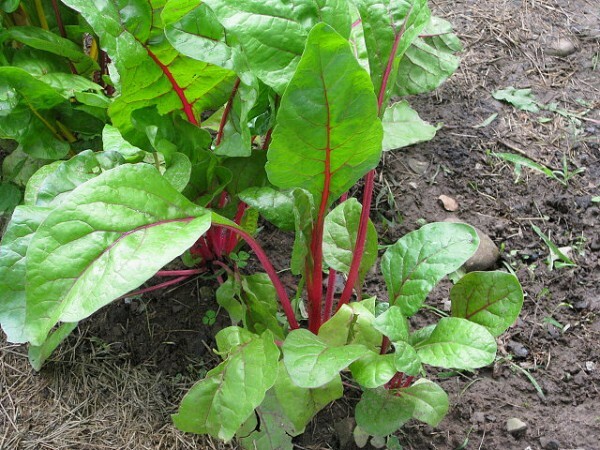 - Rinse the chard, then tear or cut away the thick stalks from the leaves. - Chop the stalks into 1” pieces, like you might with celery. - Put almonds in small pan over high heat, stirring for a minute until almonds become fragrant. Remove from heat and put into bowl. - Sauté garlic in olive oil over medium heat for up to a minute, or until fragrant. - Add stems ONLY (save leaves for later, as you must cook the stems separate and first). - Add a little water to the pan, then cover pan and lower heat. - Cook for 4-5 minutes, until stems are tender. - Coarsely chop the leaves and add to the pan, tossing with oil and garlic. - Add lemon juice, and toss. - Cover and cook for 3-4 more minutes. - Check to see if chard is finished, if not, go another 2-3 minutes. - Add almonds, and toss.